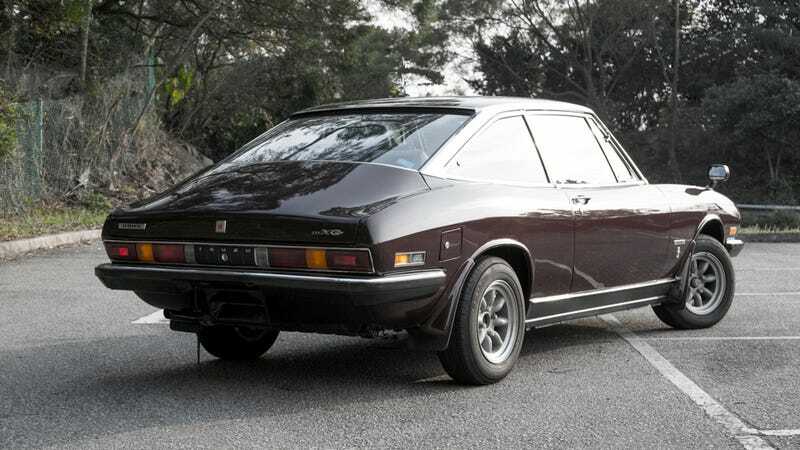 We kick off our chapter on the always plucky Isuzu with an absolute treat, the Isuzu 117 Coupe. A quick word of warning: these were never officially sold in the US, but plenty have made it to our shores over the years. This is also likely to be the oldest car we will feature, as production (of the non-handbuilt models) began in 1973. These cars can be had as cheaply as $6,000 or as expensive as $25,000. Earlier cars with round headlamps tend to go for more, but later cars with the square headlamps and bigger motor (like our subject car, which is for sale at Classics Racer out of Hong Kong- www.classicsracer.com) can command a premium for their usability and (relative) power. Designed by Giorgetto Guigiaro, the early hand-built models represent a stark contradiction to the backdrop of their production, a time when Japan was starting to find its high-efficiency mass production sea legs. It was among the first Japanese sports cars penned by Italy’s famed design houses in the late 60s, an international relationship which would bear fruit for the next 30 years. In our minds, these make a great, affordable alternative to a Fiat Dino Coupe now that those values have gone berserk.